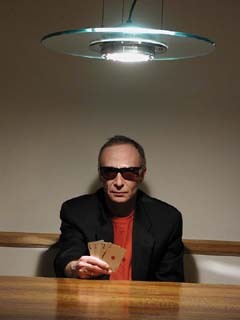 Graham Parker and The Rumour were formed in the summer of 1975 and released their first album, “Howlin’ Wind,” in January 1976 to worldwide critical acclaim. Their second album, “Heat Treatment,” followed six months later, garnering similar critical reaction and propelled Parker to international recognition. That same year, a 4-track EP, featuring a cover of the Trammps’ “Hold Back The Night,” claimed the band two appearances on Top Of The Pops and gave them a UK Top 20 single. Their third album, “Stick To Me” (1977), made the UK Top 20 and “The Parkerilla,” a three-sided live album, reached #14 in the spring of 1978. “Parkerilla” spawned a hit single with the re-recorded and somewhat discofied version of Howlin’ Wind’s epic “Don’t Ask Me Questions.” The bands’ classic 1979 release, “Squeezing Out Sparks,” cemented their position as one of Britain’s top live acts and ensured sell-out concerts on world tours. “The Up Escalator” followed in 1980, reaching #11 on the UK charts and sold well throughout the world.